Our city is indisputably America’s Finest, but as rent prices soar and wages stagnate, you might find it difficult to indulge in every Taco Tuesday, beer festival, or TJ day-trip that comes your way. 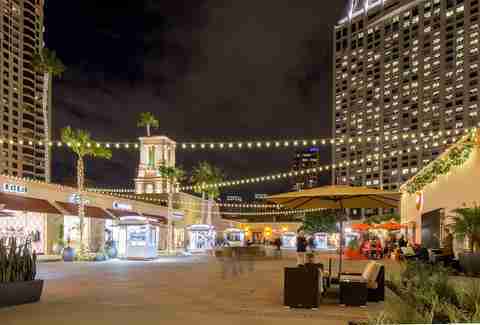 Instead of spending money to have fun, take comfort in our never-ending San Diego sunshine and the many free things to do to chase those empty-wallet blues away. 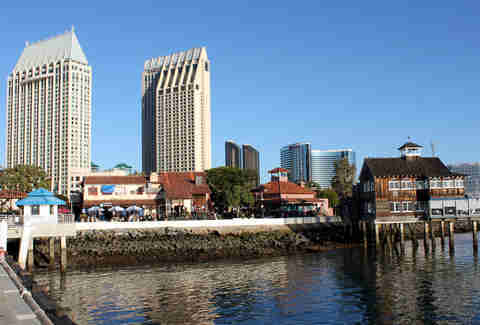 From waterfront relaxation to checking out new works of art, here’s a list of free things that'll keep you active, cultured, and entertained in the city of San Diego. On any given day (or evening) in Little Italy, you can find an array of fun stuff to explore. From yoga classes in the Piazza to live outdoor bands, or even an outdoor film festival; just make sure to bring your own blanket for any film viewing. If you’re looking for some rest and relaxation or just a pretty place to take a selfie, these meditation gardens in either the Encinitas or Banker’s Hill location are just the spot. Open to the public, the gardens include quiet nooks to reflect, koi ponds, and plenty of peaceful tranquility. Resist the temptation to take everything home with you as you stroll down charming Cedros Avenue in Solana Beach. More than 85 unique shops including antique, home, and art galleries can be found in these 2 1/2 seaside blocks. Visit on Sundays and you'll get to browse the farmers market from 12-4pm. Several downtown hotels have introduced free yoga on their rooftops. Grab your mat and head to Hotel Republic for Topside Yoga every Saturday from 9-10am. Stay after for a tasty brunch at their Topside Kitchen & Bar. Head to Hotel Solamar’s Upper East bar for Sips & Savasana, a regular yoga series at their rooftop lounge, where sips of cocktails are offered post-yoga. The next class will take place on Thursday, September 13 from 6-8pm in honor of National Yoga Month. Explore new and fresh artwork every second Saturday of the month down Logan Avenue in Barrio Logan. Art galleries, coffee shops, breweries, and more partake in the free monthly festivities. Tired of your usual hike? Annie’s Canyon Trail recently opened in the San Elijo Lagoon Ecological Reserve; views of the Pacific and lagoon can be enjoyed by the from the overlook. Cool off by splashing in the interactive fountains of the Waterfront Park in downtown. The large, open grassy areas are perfect for picnics, and plenty of events like outdoor movies are held here regularly. There’s no better feeling than giving back to your fellow San Diegan -- and you've got plenty of opportunities to do just that. 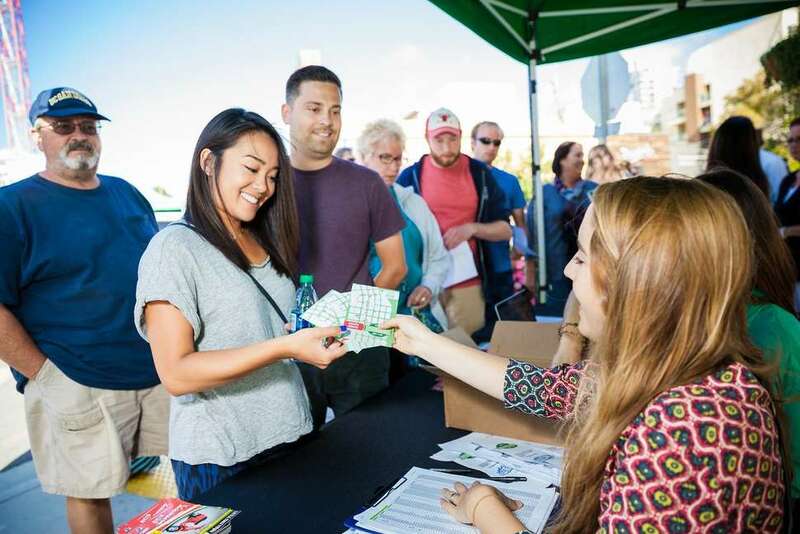 You can meet new people and help your community by donating your time to the San Diego Food Bank, where volunteers are regularly needed to sort food, assemble packages, and more. Failing that, you can help the homeless crisis in San Diego by serving food at Fr. Joe’s Villages, or keep our beaches pristine with cleanups hosted by The Surfrider Foundation. Open from dawn until dusk, Anza-Borrego is free and open to the public -- which means you get to enjoy hiking, camping, and free programs like star-gazing. Just check weather temps... it is a desert, after all. Head to Liberty Station in Point Loma on the first Friday of every month for a free art walk. From 5-9pm, visitors can meet local artists; enjoy dance, music, and theatre performances; and explore Liberty Station’s galleries. The Manny Cepeda Orchestra plays for free on select Friday nights at The Headquarters at Seaport Village. Grab a partner and make new friends as you dance the night away in the courtyard, under the stars. 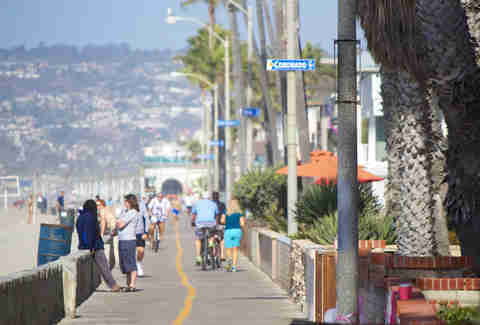 Stroll along this highly Instagrammable bridge at the edge of Spruce Street in Bankers Hill. Built back in 1912, the bridge stretches across Kate Sessions Canyon at a height of 70 feet, nestled among trees and connecting historic neighborhoods. 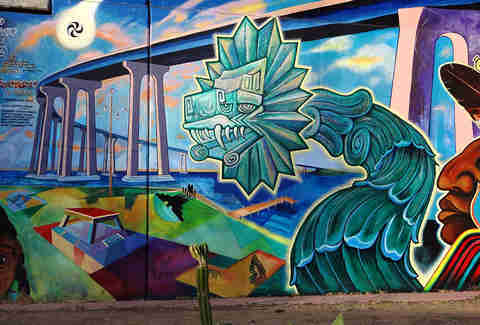 Take in the beautiful murals and history of Chicano Park in Barrio Logan. 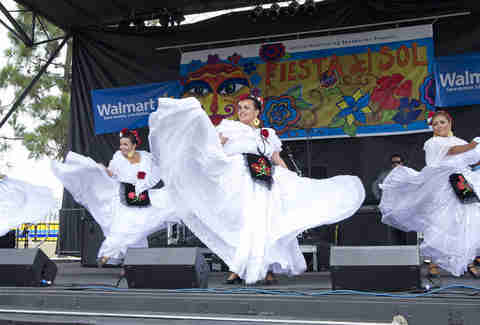 Visit in April for Chicano Park Day: a free festival filled with food, art, musical performances, and a serious low-rider show. Other than checking out books for your reading pleasure, the Public Library Downtown also offers a number of free events. From yoga to Zumba, and even special exhibits, the official calendar has a full roster of upcoming activities. Learn how to calm your mind at Pilgrimage of the Heart Yoga in North Park. Every Monday evening, a free guided meditation takes place in the studio, and there are often free yoga classes as well; check their schedule for details. 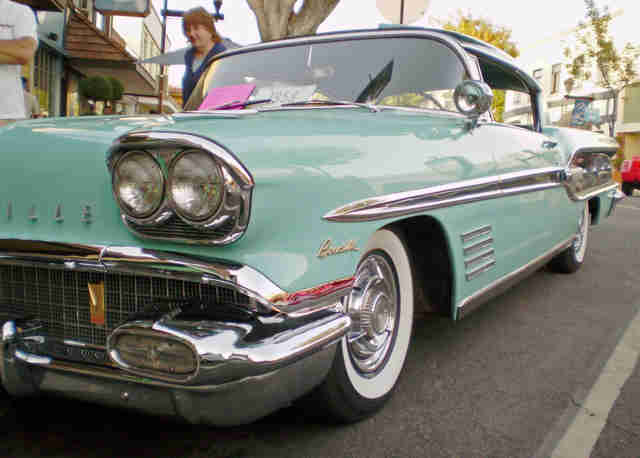 From July through August, visit Downtown La Mesa on Thursday nights to catch a serious display of automotive nostalgia, featuring live music, an award ceremony, and the most colorful retro cars you'll find outside a Matchbox collector's set. Grab a blanket and pick a spot at this serene park that overlooks Old Town San Diego, then crack open a bottle of Champagne -- if you're here between 8am and 8pm, it's totally legal. 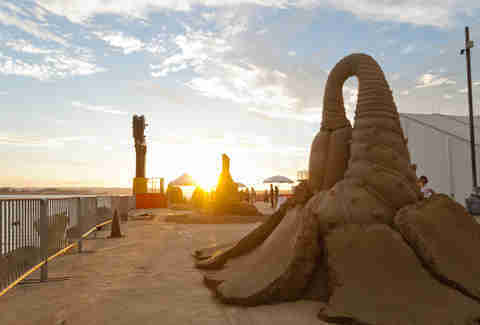 Head to Imperial Beach in July for the Sun & Sea Festival, and get a view of world-class sand sculptors doing their thing. Stick around for a parade, live music, and food from a dozen different food trucks. 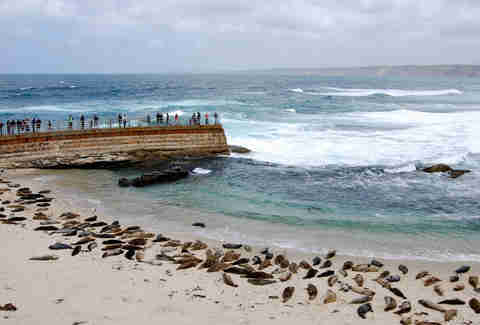 San Diego has 17 miles of coastline. Swim, surf, play volleyball, toss around a frisbee, or just pick a spot, smear on some sun block and... lie there. It’s the beach; you know what to do. The Big Bay Boom represents one of the largest fireworks shows in the country, with four barges shooting off explosives in San Diego Bay. Best seen from a rooftop that someone else paid for. One of the lesser-known gems tucked away in Balboa Park is the Velodrome. Stop by at 6:30pm on Tuesdays to catch some serious fixed-gear bike races. Whether you still call the place the "Quail Botanic Garden" or go with "The San Diego Botanic Gardens," admission is still free the first Tuesday of the month. Bring a blanket and pack a picnic for the free music at Spreckels Park on summer Sunday evenings. There’s a free car show and street fair every Friday night on Grand in Escondido from April-September. Hang by their vintage oyster-shaped swimming pool and catch a different flick every week. 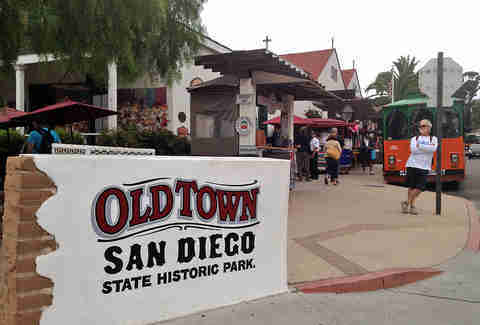 In case you couldn’t tell by the name, this historic area of San Diego is full of lots of old stuff like the Whaley House, the first SD courthouse/jail, and the El Campo Santo Cemetery -- all within a few blocks walking distance of each other. Peel yourself off the couch and soak up a little culture. Almost every museum in town offers a free day for SD residents. 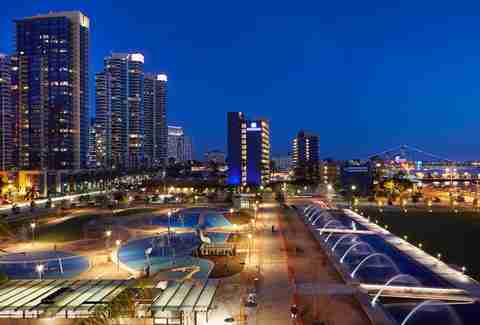 During the summer, San Diego offers free concerts all over the city for just about any kind of music lover. From March through August, when the tide is high during the full or new moon, you can catch the circle of life in action as thousands of grunion take to the shore to spawn. You know the weather's going to be good. Fiesta Island is one of only a few beaches in San Diego where you can have dogs off-leash. Take Fido out and let him run free with the other pups. 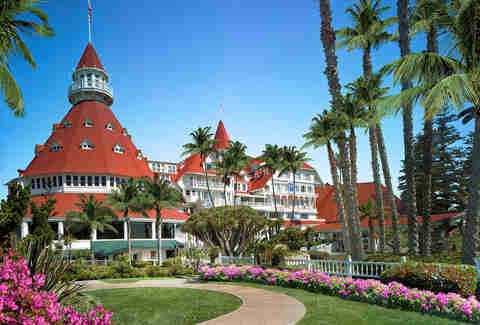 Every year, the historic Hotel del Coronado receives dozens of awards for best hotel, best beach, best dining, etc. It's free to stroll around the property and hang out on the beach, so take advantage. With 6,800 acres of rec area, you ought to find something to entertain yourself. Climb 6,000 feet above sea level, and check out the tiny little town while you’re at it. Both the Downtown and La Jolla locations are free every third Thursday from 5-7pm, allowing you to act all cultured and whatnot. Get up close and personal with South Park during this quarterly event. Businesses along the walking route will have their doors open, many with entertainment and refreshments. Take a hike up Mt. Soledad for a panoramic view of San Diego from 822 feet above sea level. 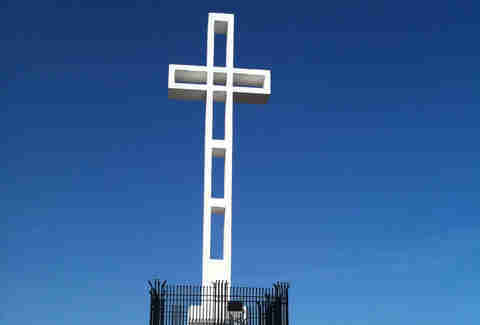 You can also check out the giant cross and pay your respects at the Veteran’s Memorial atop the mountain. After years of controversy and legal battles, the SD landmark may not be there much longer. See everything worth seeing in San Diego on this three-hour driving tour. North Park’s art walk has been going on for 13 years, the second Saturday of every month, from 6-10pm. The Science Center has free admission the first Tuesday of every month for local residents, local college students, and military. And PROBABLY Bill Nye. Swimming in the Children’s Pool isn’t nearly as juvenile or completely creepy as it sounds. The cove has the perfect calm water conditions for snorkeling, and there are tons of sea lions and seals that hang out there as well. You can set your watch by them every night of the summer, and they can be seen for miles around San Diego. Fire pits are first come, first served, so grab some wood, stake out a spot, and get ready for all the s’mores. The last weekend of September, you can get your groove on in Normal Heights for two days of free music with 110 bands performing on eight stages. 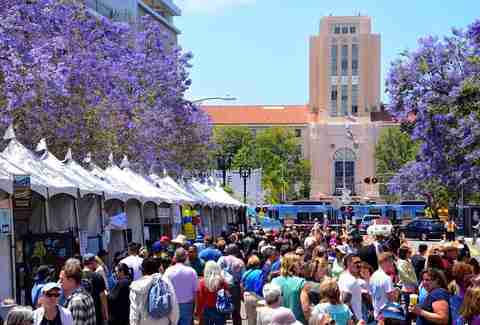 CityFest celebrates the spirit of the Hillcrest community with food, music, and art, this and every August. 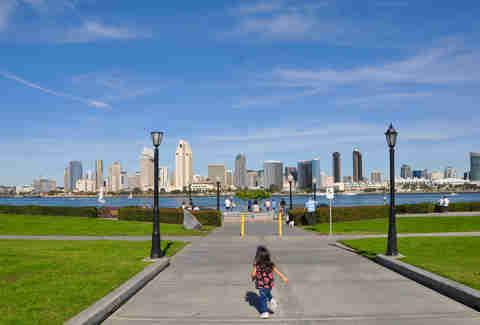 During the summer, you can bet that just about any movie you’ve ever loved is playing in a park somewhere in San Diego. Unless you have terrible taste. The festival takes over Fletcher Cove Park in Solana Beach for two days of music, food, and vendors by the beach. Take in the beautiful scenery with a little hike along the cliffs, and then climb down to the beach for a less-touristy experience. If you don’t have a board of your own, borrow one and paddle out. 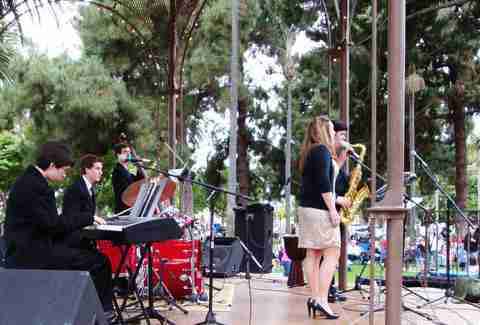 2015 will be the 30th season for TGIF Concerts in the Parks in Carlsbad. Bring a blanket and post up to enjoy some tunes and the warm summer nights. Three times a year, the Museum of Contemporary Art hosts a night of artist talks and performances, live music, cocktails, and exhibitions that is free to members. Along the shores of San Diego, you’ll find numerous rocky spots prime for tide pools full of little sea creatures. Eight miles of trails await exploration with plenty of killer ocean views. There are trails, historical sites, gardens, and much more. If you can’t find some free way to entertain yourself in this 1.875-square mile park, then you simply aren’t trying. All you'll need for this one is a full gas tank: Julian is a quaint, gold-rush town nestled in the Cuyamaca Mountains, about an hour east of San Diego. Go for a hike, window-shop, and if you can swing it, splurge on one of the town's famous apple pies. There is a different market happening every day of the week. You'll find free entertainment, and, more importantly, free samples. Originally from Chino, California, Michelle moved to San Diego in 2000 to attend San Diego State University, and never left. The daughter of immigrant parents from Quito, Ecuador, she’s a fluent Spanish speaker, a lover of travel, a foodie, a wannabe yogi, and an accomplished freelance writer. Follow her life adventures on her website and on Twitter @MichellePoveda.